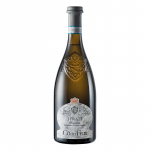 Cà dei Frati produces this Ca' Dei Frati Lugana I Frati 2016 (£253.02), a white wine from Lugana (Lombardia) that is based on the best of verdicchio and trebbiano di soave of 2016 and has an alcoholic strength of 13%. The Ca' Dei Frati Lugana I Frati 2016 is the ideal white to combine with risotto and seafood. 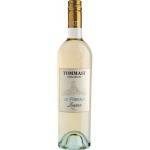 Uvinum users evaluate this white wine with 4,4 out of 5 points. In a bottle of Ca' Dei Frati Lugana I Frati 2016, there is the whole pride of Cà dei Frati. As the winery's authentic flagship product from Lugana (Lombardia), Italy, this white turns out to be surprisingly versatile. As a young wine, it is a straightforward and fresh drink with a great finesse. But if you let the Trebbiano di Soave age for a few years, you'll taste more spices, the vivid acidity and an aromatic complexity in your glass. Ca' Dei Frati Lugana I Frati 2016 is an excellent choice for a wine tasting amongst friends, to experiment or simply enjoy. - Nose: fresh, very fine elegance, delicate notes of white flowers and balsamic notes of apricot and almond, hints of iodine, spices and candied fruit. - Mouth: mouth surround, lively acidity and lush. GRAPES: 100% Trebbiano di Soave. WINE PAIRING: pasta, fish and crustaceans. Light yellow in colour with a concentrated but fresh perfume of white flowers, peaches and ripe lemons. 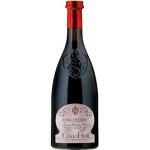 On the palate, it has excellent depth and balance, with lovely richness and a crisp, lively finish. 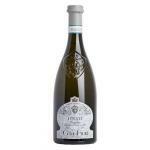 The Lugana I Frati remains palatable for years and become our preferred wine. - Light yellow in colour with a concentrated but fresh perfume of white flowers, peaches and ripe lemons. - Nose: white flowers, almond, apricot, balsamic notes, mineral notes, spicy memories and candied fruit. Ca dei Frati provides the best Lugana ever - this is definitely for the Year, 2015. The usual color, a little bit dark. 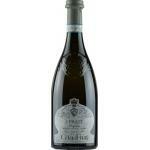 White flowers are perceived in this I Frati Lugana. Smoky notes in the mouth. We tried it with Milanese rice. My best friend from Wines without Appellation (Italy) recommended it to me. It has a light yellow colour. Over all, the Cà dei Frati Lugana reminded me of white flowers. The wine was ok. If you want to buy Ca' Dei Frati Lugana I Frati 2016, at Uvinum you will find the best prices for Lugana (Lombardia) white wine. Purchase it at Uvinum at the best price, easy, quick and safe. We offer a large catalog of wine, beer and spirits becoming this way the biggest online shop to sell wine, beer, and spirits in Europe thanks to more than 38.000 customers enjoying Uvinum.